KAMPALA – Documents before the Parliament Defence and Internal Affairs Committee indicate that the debt stock for Uganda’s defence sector has hit the UGX593.4b as of December 2018. 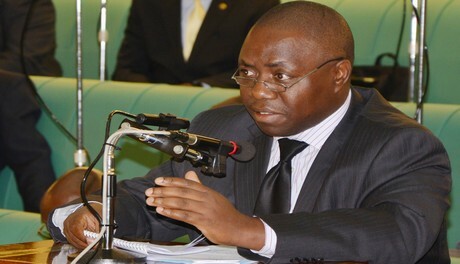 The details of the outstanding arrears were tabled by the team from the Ministry of Defence that was represented by Mr. Adolf Mwesige, the minister of Defence and State Minister for Veteran Affairs Bright Rwamirama who had appeared before the Committee to discuss the Ministerial Policy Statements for the 2019/2020 National Budget. The documents indicate that UGX508.6b is for the backlog of pensions and UGX84.7b for other items with the breakdown indicating that the electricity arrears stand at UGX41.2b Water UGX356.9m, land compensation UGX31.4b and transport equipment UGX4.3b. Yet still, food bills amounted to UGX365.5m, charter UGX2.7b, transport hire UGX289.3m, house repair UGX248.3m, medical bills UGX1.4b and others UGX764m as well as pension and gratuity of UGX508.6b. In the coming budget, the Defence budget is UGX3.5 trillion of which wage has been allocated UGX519.5b, recurrent is UGX642.9b, development is 1.98 trillion, while external financing is UGX362.9b.